Dreaming of a cake fit for a princess? 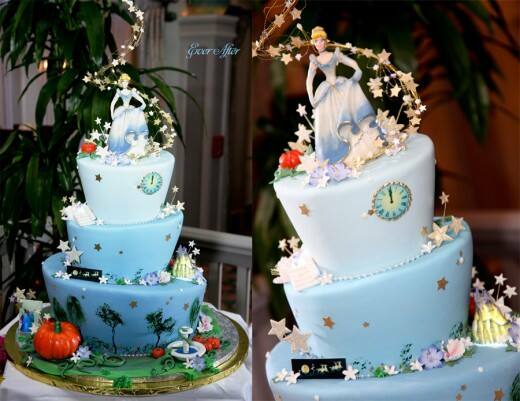 Look no further than this Cinderella-inspired dessert! 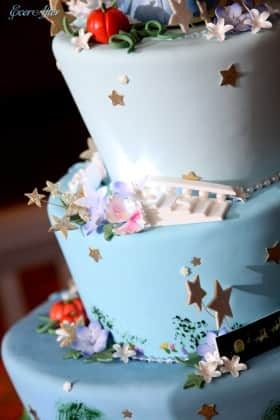 With a little help from some lovable mice and the Fairy Godmother, this cake fits the bride and groom like a glass slipper.